When we do a gutter cleaning we don’t just go up there and pull the debris out of the gutters and throw it on the ground for you to clean up later. 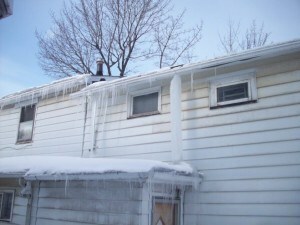 We treat your house like we would want our home treated. 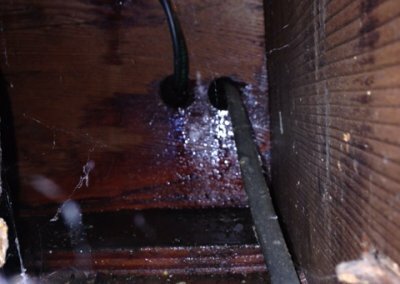 That means that we’re not only going to remove the debris from the gutter but we’re going to bag it and remove it from the property or dispose of it in the woods if there’s any near by. 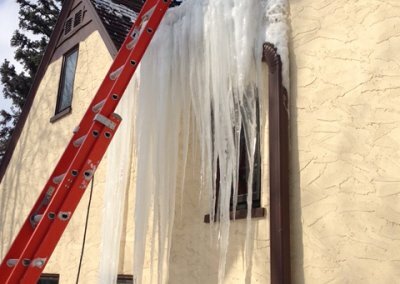 If we should make a mess and get mud on the house we carry a hundred foot hose in each truck so we can wash down the house and the gutter if necessary. 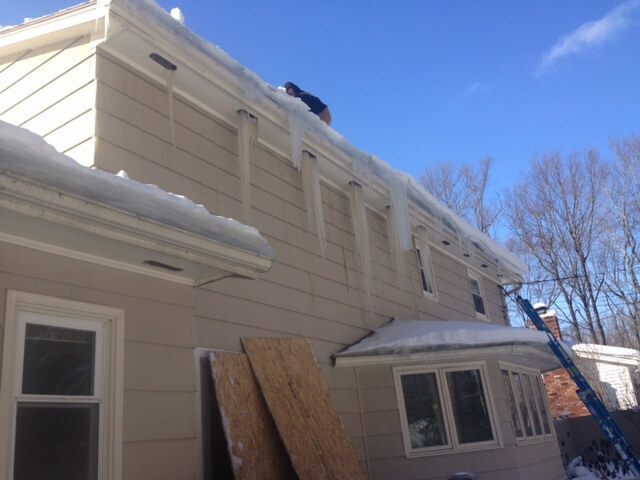 We also remove all debris build up in the valley and behind skylights. 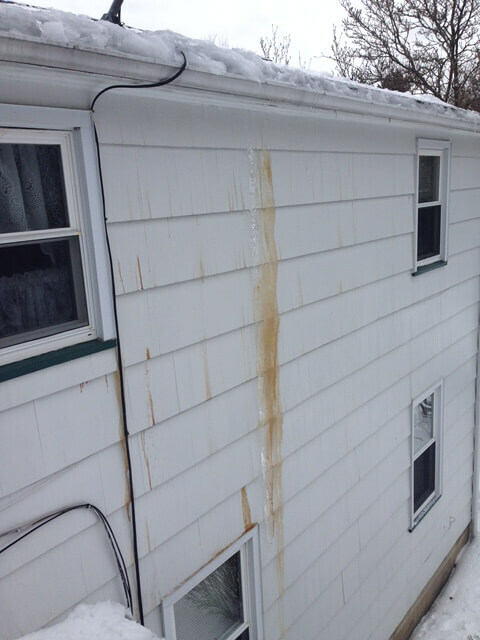 The number one cause of leaking skylights is debris build up behind the skylight that isn’t taken care of. 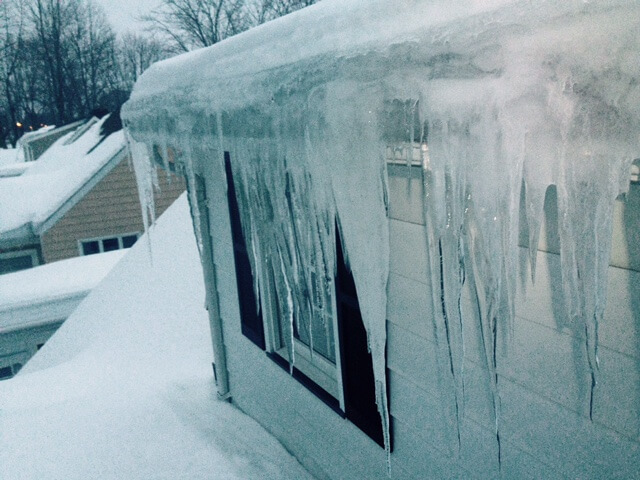 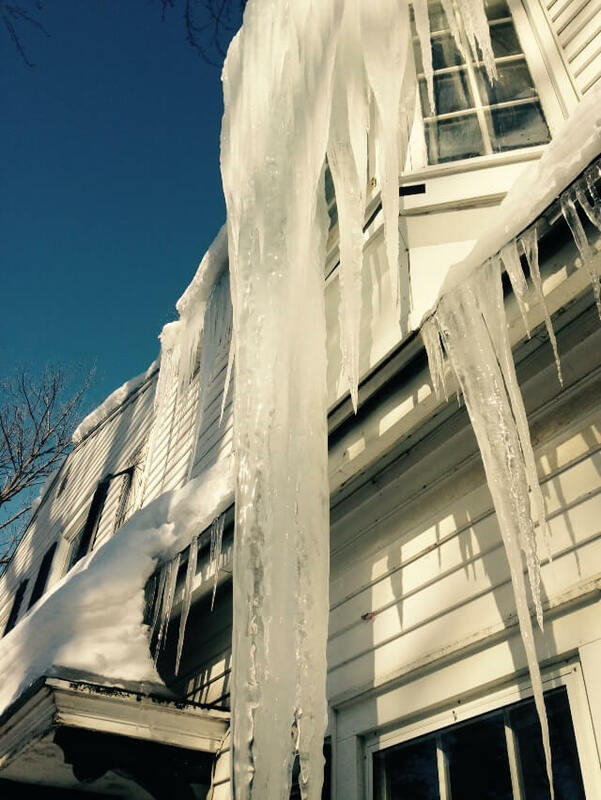 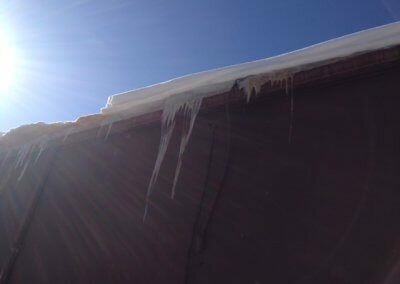 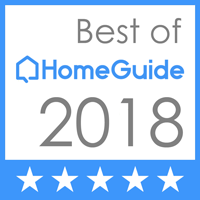 Proper use of Ice & Water Barrier Products, plus insulation and ventilation, help prevent ice dams – a major culprit when it comes to roof leaks. 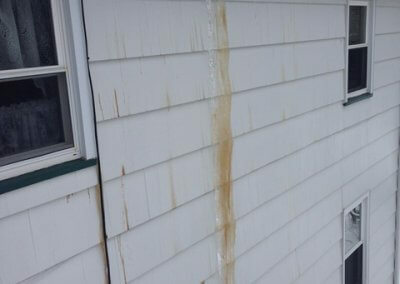 It decomposed into dirt and rotes out the flashing around the skylight. 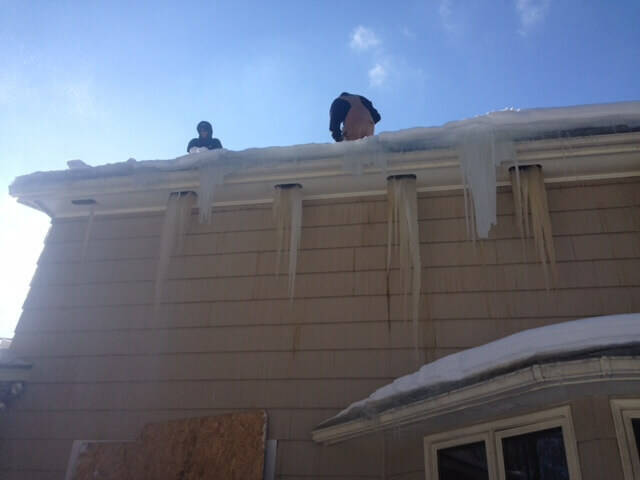 We also go over the entire roof with a blower to get and debris, twigs, or branches that may be up there. 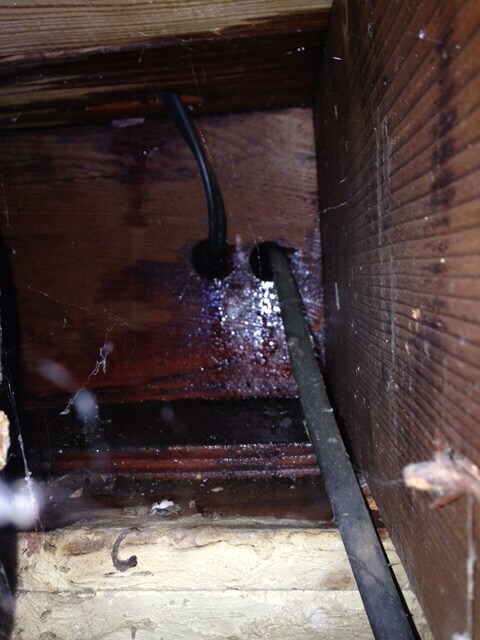 And finally we’ll hammer in any loose nails and check to make sure everything is tight and in place. 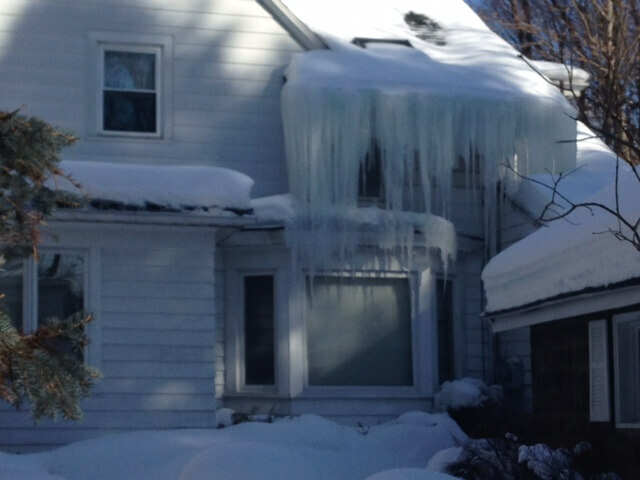 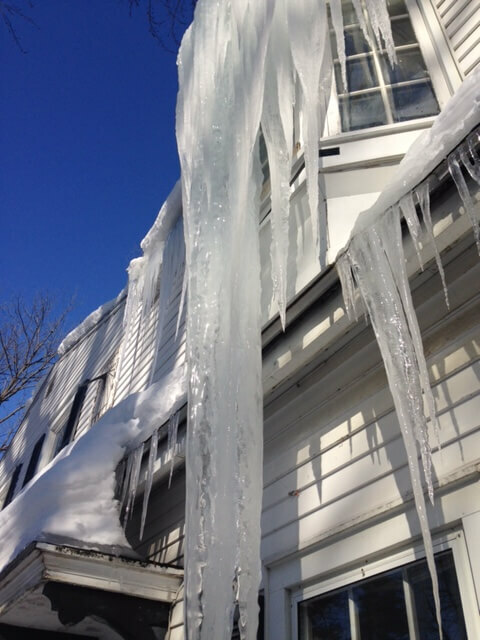 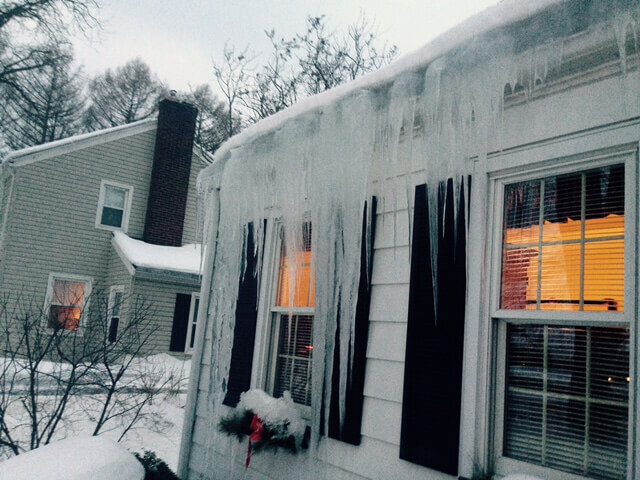 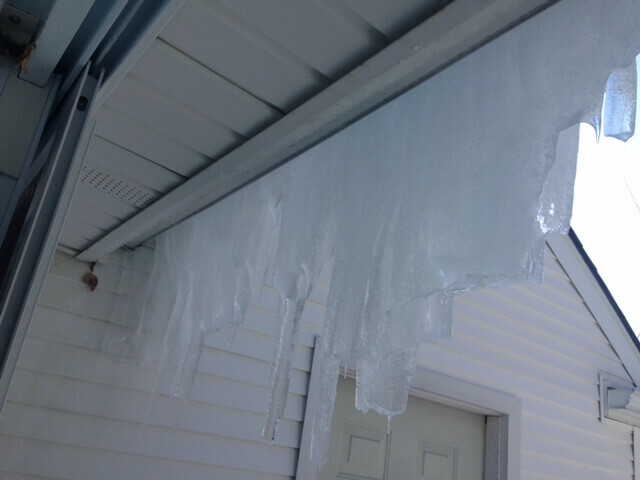 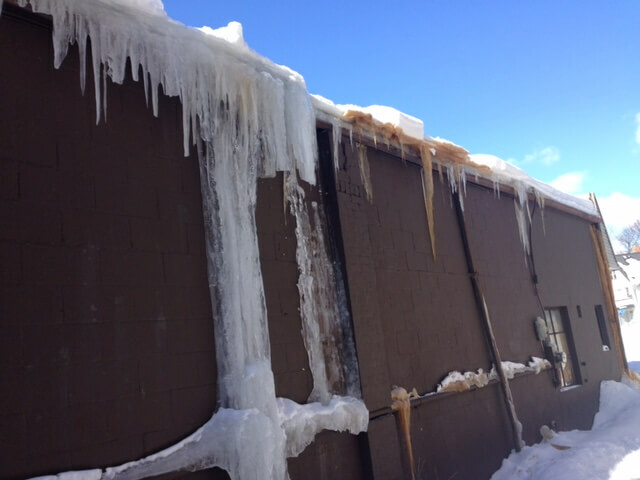 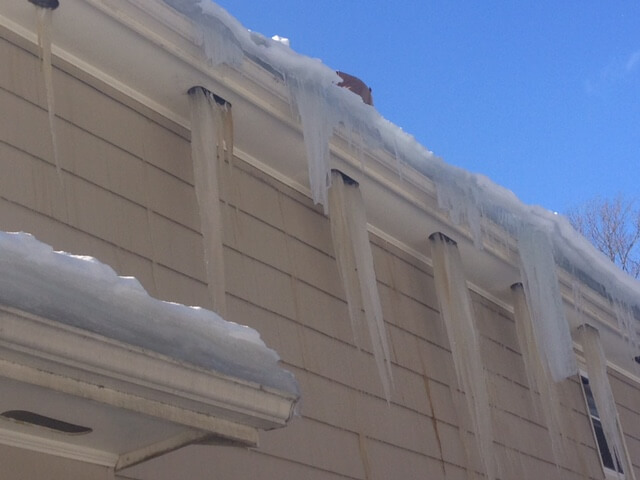 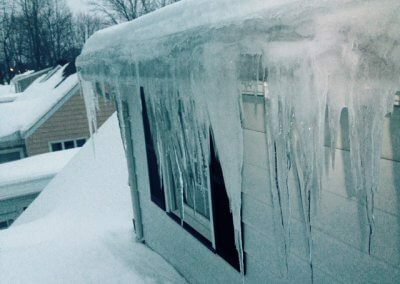 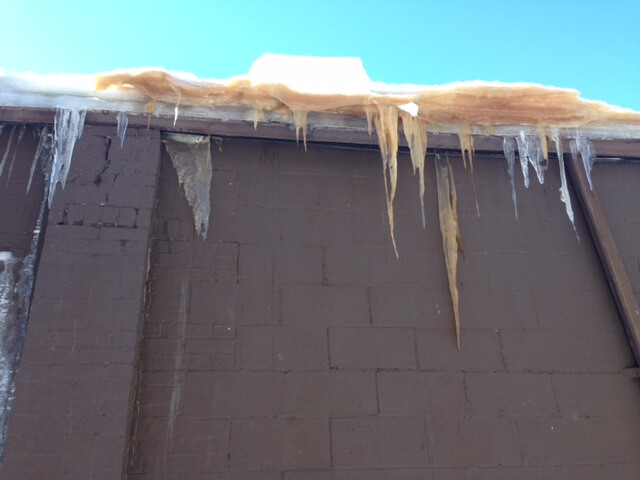 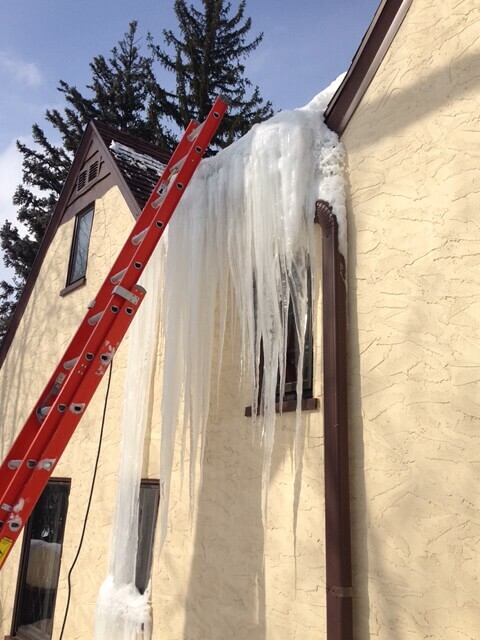 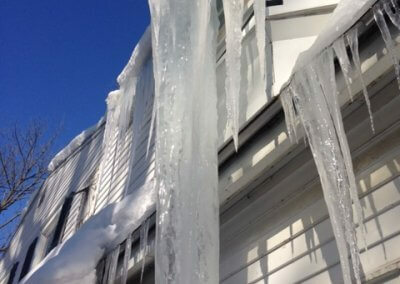 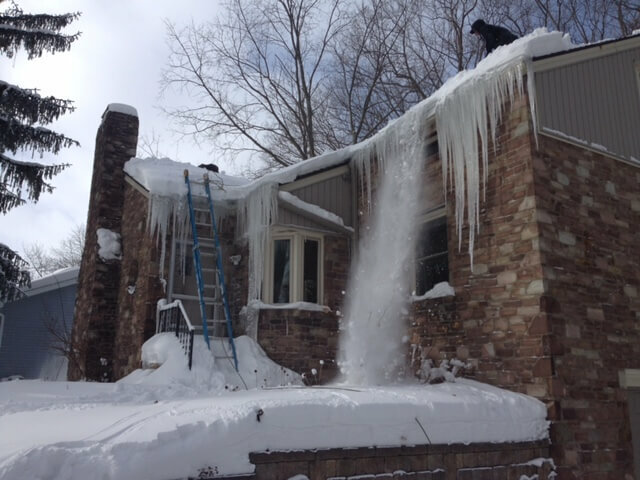 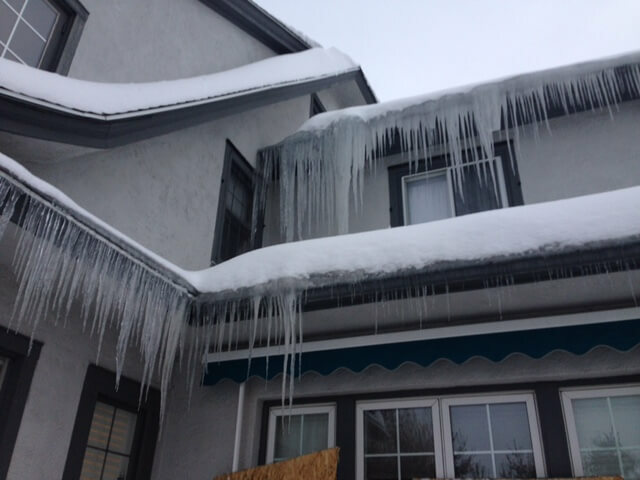 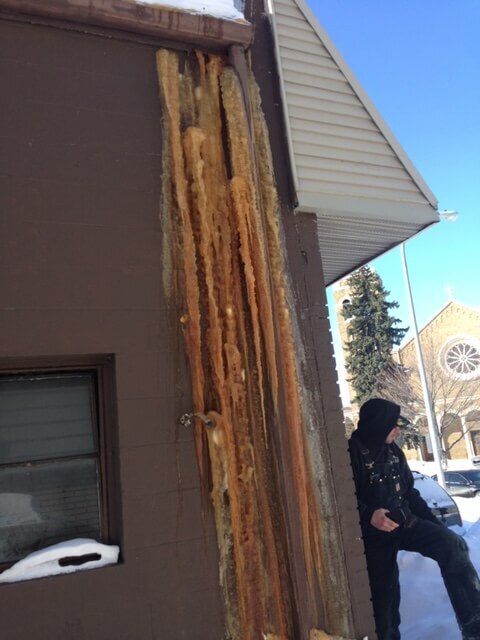 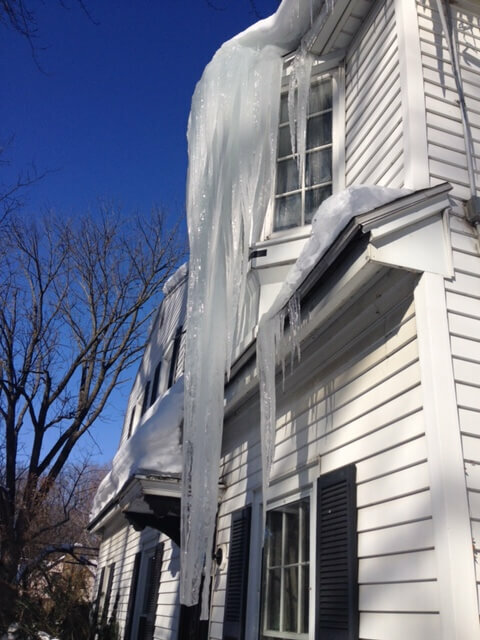 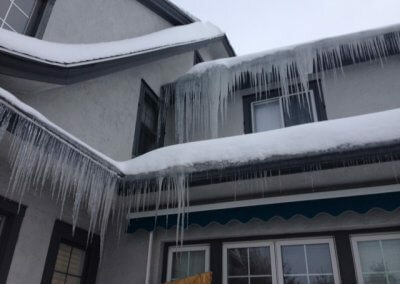 Ice dams form when indoor heating rises through the ceiling into the attic and warms the roof surface. 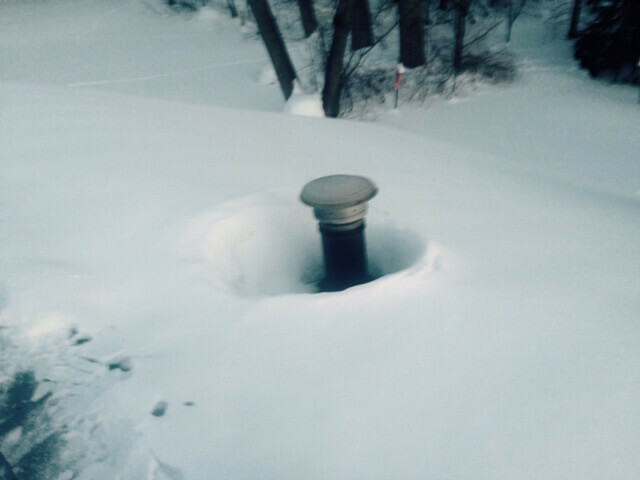 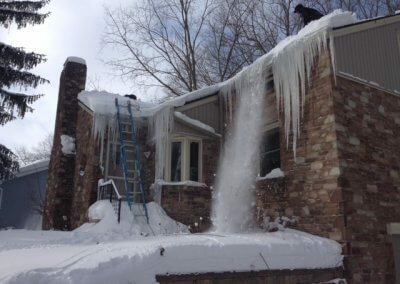 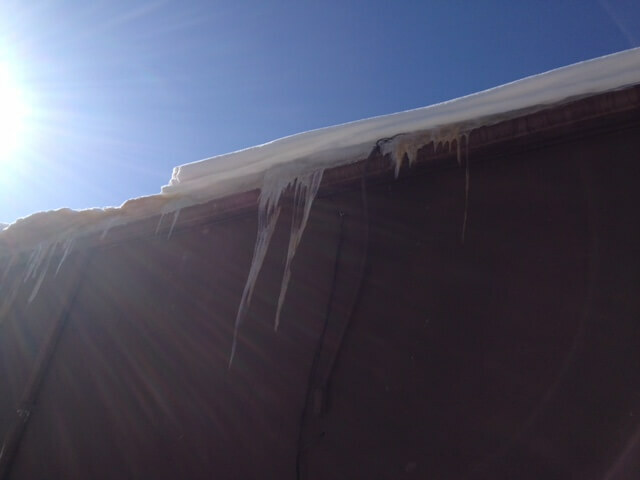 Snow on the heated part of the roof melts and flows down until it meets the part of the roof that is below 32 degrees. 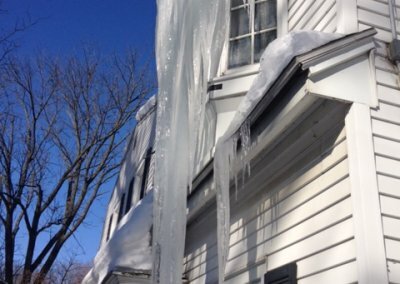 At that point, the water freezes into an ice dam. 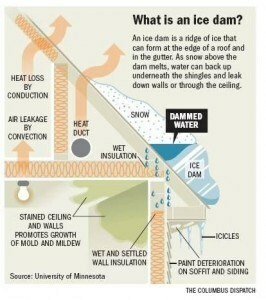 Water backs up behind the dam and, as it sits on the roof, works its way under the roof covering and flows into the attic. From there it can seep through insulation, ceilings, walls and other areas where it can cause damage. 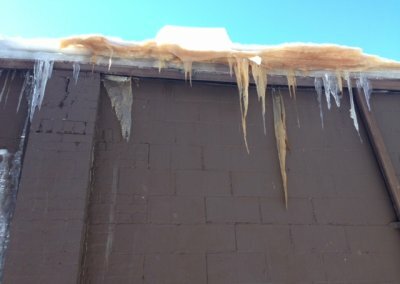 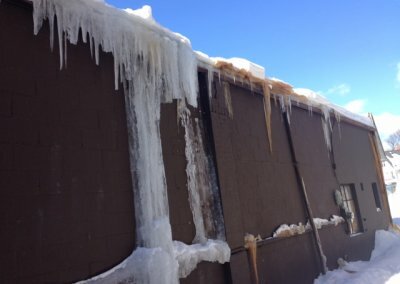 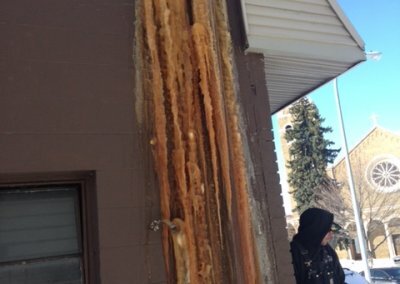 How do you prevent an ice dam?